Mike is about to begin his twelfth season operating the golf teaching business in conjunction with Billy Casper Golf and the Morris County Park Commission. His teaching program has evolved to include on course instruction along with individual lessons for all populations interested in playing golf at four different county owned golf courses. Mike also gives his time to serve on the New Jersey PGA Section’s Junior Golf and Growth of the Game Committees, along with volunteering his teaching time with the New Jersey Golf Foundation to bring the game to all individuals who want to play. 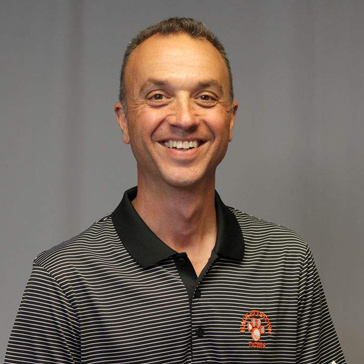 Some of Mike's other notable achievements rest at Hackettstown High School where he has been coaching the co-ed golf team since 2011. The Hackettstown Tigers have won the NJAC Freedom Division Championship five times in the last seven seasons('11,'12 &'15,'16, '17). Mike was honored as the New Jersey Herald Golf Coach of the Year in 2012 and 2017. One of Mike's new coaching opportunities involves the Flanders Valley Junior League squad, where he mentors and coaches 23 local juniors. They are starting their fourth year of competition as a team. The PGA of America has selected Mike as a member (2010) of their President's Council on Growing the Game. The New Jersey PGA also recognized Mike's efforts in awarding him with the 2017 NJPGA Youth Player Development Award, after being nominated in 2015,2016 and 2017. Schedule your next lesson or clinic by calling 973-697-1041 or email Mike. 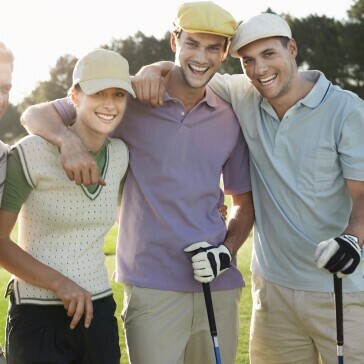 Improved golf and a more enjoyable experience on the course is just a click away! Individual 1 Hour Playing Lesson ($135) Only available early or late in day not to alter daily play. MCPC Junior Evaluation ‣ The MCPC in its continued support of junior golf has vehicle in place for a child that is under 12 years old to experience our golf facilities. If a player is 12 to 14 years old they can apply for a Junior County Resident card that will get them access to the golf courses. The Junior Evaluations are in place for that child who is under 12 who plays golf. Our Professional staff will accompany the junior on a two hole playing experience where the junior will be asked questions about the course and their game. We will not be grading their ability to make a specific score rather to see if the junior is comfortable on the course and making proper decisions. Evaluations traditionally take place on the course and at a time not to impact the daily play. Upon passing the evaluation the junior may register in the golf shop for their paying privileges. The under 12 player may play after 2pm Monday through Thursday and after 5pm Friday through Sunday with a paying adult. Appointments are suggested. 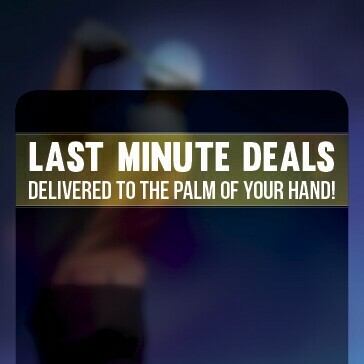 There is a $40 fee paid to the golf shop for the service. Putting, Chipping, Pitching and Bunkers. Each 90 minute class will be offered individually, but new this year a bundled price will be offered to take any or all of the four. Classes offered during the day and at night. 3 person minimum for class to take place. Offered in the afternoons and at 6PM when bunkers and pitching is taught. Each class is a 2 hour session. 3 person minimum sign up. Offered to Parent(s) and kid(s) to experience the game together. Offered at Berkshire Valley every other weekend afternoon in May/June and every weekend July/ August. Subjects will include short game skills, full swing, and etiquette of being at the course. 3 pairs minimum sign up. Using range for instruction on Posture, Grip and Stance. Students will hit balls under a supervised practice situation with the goal of teaching the student how to get the most out of their swing. 3 person minimum sign up and 5 people max per session. If you have a group of friends that want to learn the game we can tailor sessions to your needs. Boy Scout Troops, Parties, Group Retreats or Business Meeting are just the kind of operations we have dealt with in the past. You pick the course and day and we will bring clubs if needed to work on the skills you want or need to enjoy our great game. Offered to kids ages 10-17 who want to work on two specific skills: Putting & Chipping or Full Swing & Bunkers. Both skills worked on in the 90 minute session. 3 person minimum sign up. , an LPGA Member and former LPGA Tour player (1980-1992) has over 25 years of experience teaching golfers of all levels. Her teaching philosophy centers around the fundamentals of the golf swing; emphasizing how to hold the club, aim correctly, posture and balance. Carole has a unique ability to help golfers at every level to improve their game. She believes golf is an art form, not a science and her focus is applying the principals of the swing to fit each person's ability, strengths, and weaknesses. Carole feels she has succeeded when a student leaves a lesson with a better understanding of how to strike the ball in the center of the club and make it fly towards the target! Her objective as an instructor is to make the game more fun for golfers at every level and help them lower their score on the course. Back by popular demand: “Women’s Clinics, Get Out & Play and Cocktail” Program will begin in May. Dates and details will be posted on the courses calendars! The playing lesson is a really fun and instructive way to have your game assessed and then a very specific plan will be discussed going forward for improvement. Learn to look for the highest percentage shot to play in any given situation. Improved shot and club selection will shave strokes off your card. Individual 1 Hour Playing Lesson ($130) Only available early or late in day not to alter daily play. Stay tuned for our upcoming events list for 2018! Learn simple ways to lower your score on and around the green including how to read greens, make better choices in shot and club selection. Learn drills that will make practice more fun and productive.